Looking to improve your touch on a soccer ball? In order to have more time on the ball and to have the essentially slow down for you need to have the best touch on the ball. The best and most elite players have a great touch on the ball. This allows them to play the game and make better decisions without having to spend time controlling the ball and reacting to situations around them. Taking a penalty shot is a demanding task. It takes courage, skill and practice. Most importantly, a good penalty shooter requires the ability to control their nerves. Unlike many other sports where set plays are drawn up and practiced in advance in the hope of implementing them in game-time situations (with stoppage play), soccer is a game of decision making where the majority of the decisions are taken by the players on the field in real time with no stoppage play. In a 90-minute game, the game will constantly evolve based on where the ball is on the field and what scenarios are presented to the players. A coach’s job is done in the weeks and days prior to the game, not during a game. Therefore, players need to have a well-developed soccer IQ in order to make proper decisions in split seconds over and over again. With that being said, how do you develop your soccer IQ? 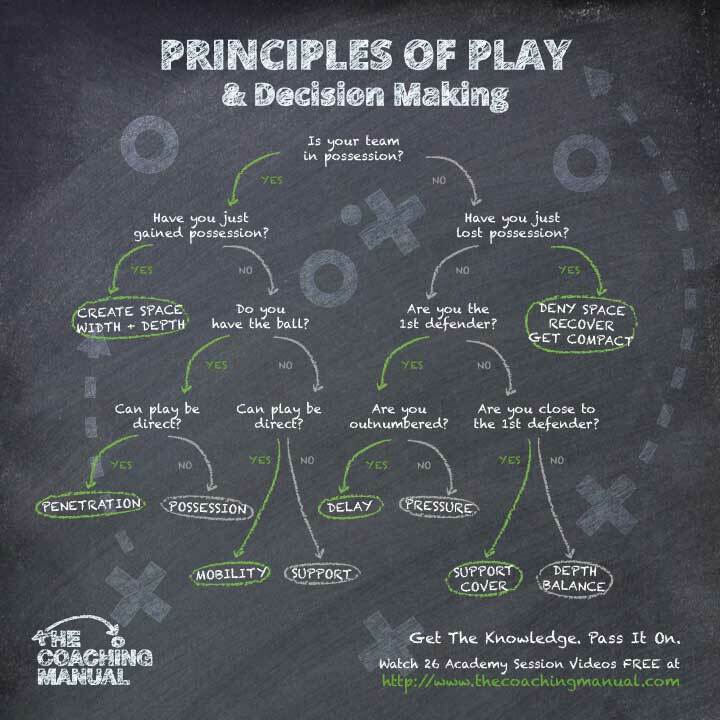 Below are certain strategies you can try-out with the aim of improved decision making in a game-time situation. Looking to take your coaching skills to the next level? Depending on what province or state you are in there are different approaches to taking your coaching certifications to the next level. In Ontario, The Ontario Soccer Association, offers numerous courses which range from introductory classes which include Soccer For Life to more in depth certificates such as your provincial licenses A, B and C amongst others. Each certificate ranges from a two day session to much longer. There are also different forms of evaluations depending on the certificate you are enrolled in. That being said, do not be intimidated by these programs. The courses can all be attained in a relatively short period of time by those willing progress in the sport. Your team is at the opponent’s goal and is about to score a goal. A lot of players commit because the situation looks promising. Suddenly, their goalie grabs the ball and launches the ball down field. Uh oh…it is a counter attack. You begin to backtrack and realize that you and your other defender are the only two players back while they attack with 3…and here comes the 4th. What do you do? He scores! Pandemonium breaks out in the stadium. The fans are ecstatic. His team-mates are absolutely joyous. And he decides to do what? This year I had the pleasure of training a competitive soccer team that consisted of girls 15 years of age and younger. The way I prepared for training in week 1 and the way I prepared for training in week 10, were completely different. Here is what I learned. High performing teams have more positive interactions than negative interactions. So what is the magic ratio?